700 km (440 miles) north of Bangkok is Chiang Mai, Thailand's second largest city and the heart of the Northern Region. 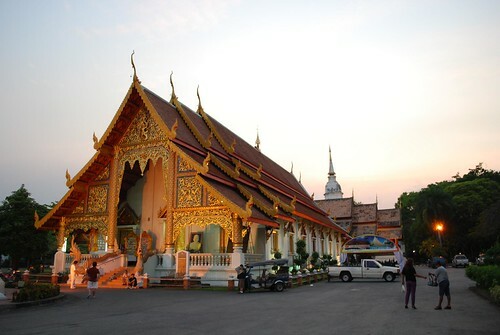 Chiang Mai is a modern and developing city but unlike Bangkok, manages to retain a relaxed atmosphere. Besides the historical sites and other attractions, Chiang Mai is a convenient starting point for trekking into the jungles and hill tribe villages in the region. More at Guide to Chiang Mai. 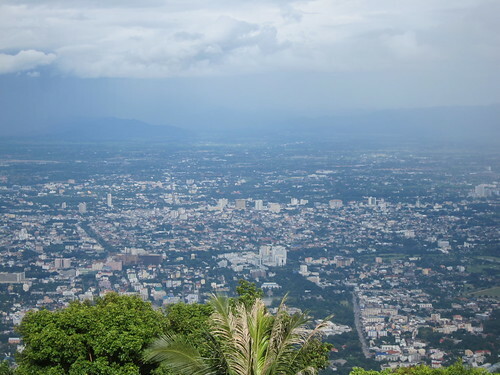 Chiang Mai is home to 170,000 people and with a metropolitan population of more than 1 million. The city is the main gateway into the Northern Region and easily accessible by road, air and rail. 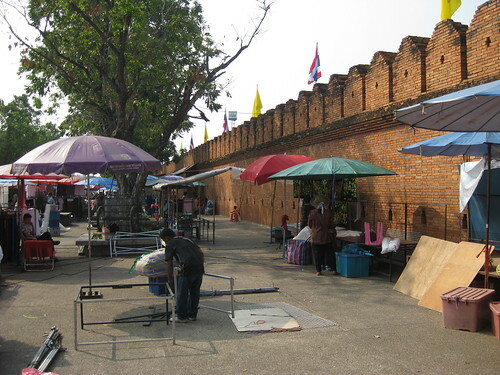 Chiang Mai's historic centre is within the old city wall which dates back centuries. Modern day Chiang Mai sprouts from all direction of the wall particularly eastward to the Ping River. There are more than 300 Buddhist temples or wats in the Chiang Mai area including 30 within the city wall. Among the most well-known is Wat Phra Singh with a history dating back to the 14th century. 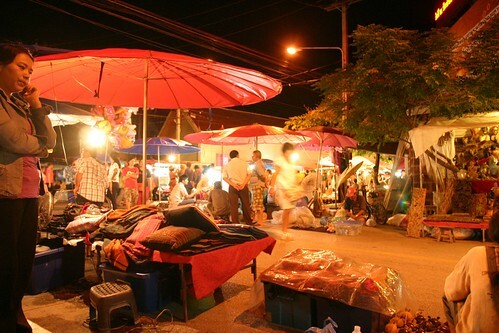 Like the rest of Thailand, Chiang Mai has plenty of markets including night markets. Even if you have nothing to buy, its a great place for people watching and enjoying the lively atmosphere.